David went on Bill’s ride to Towcester and writes as follows. He also took the pictures! 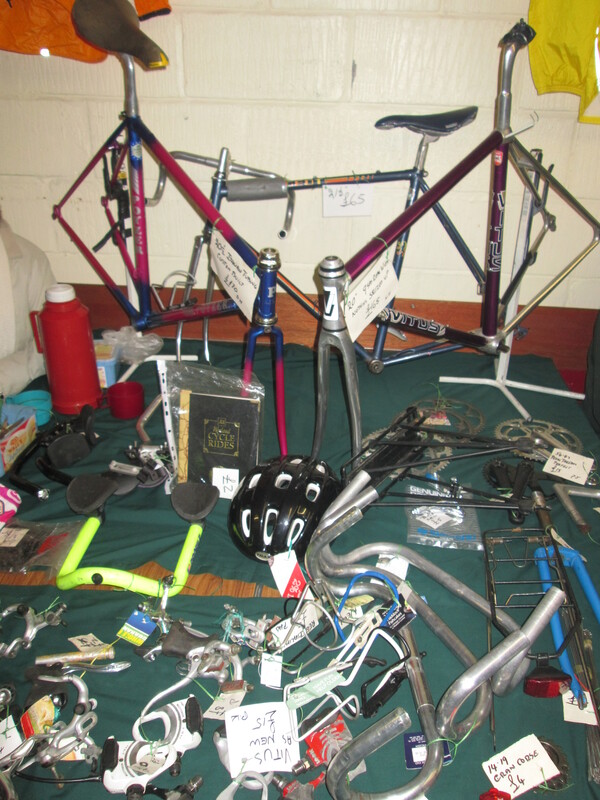 Bill led the annual ride to the A5 Rangers’ Cycle Jumble Sale at their clubhouse in Towcester. This year we had a cold start but it was sunny through out the day: a respite from the record-breaking daily rainfall and gale-force winds we have had on the last few rides. 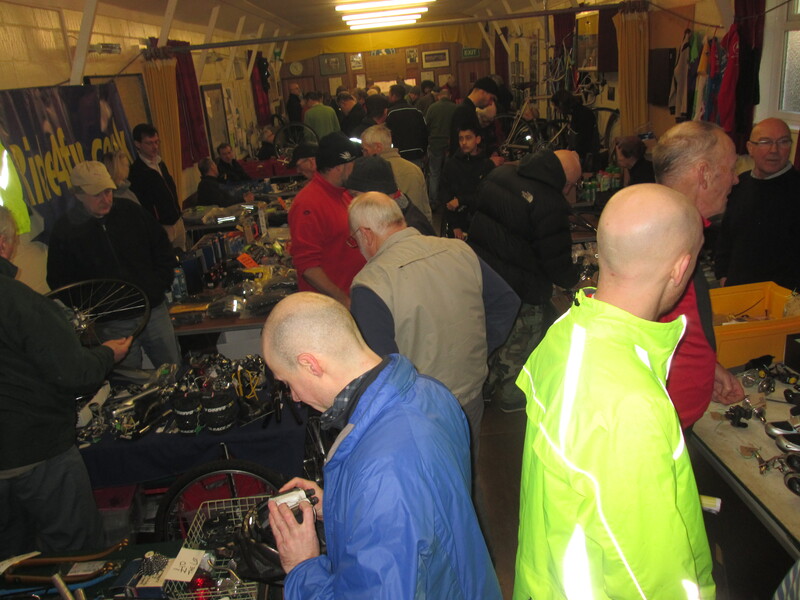 The club served tea and cake and the stalls had many vintage bicycle parts to buy. 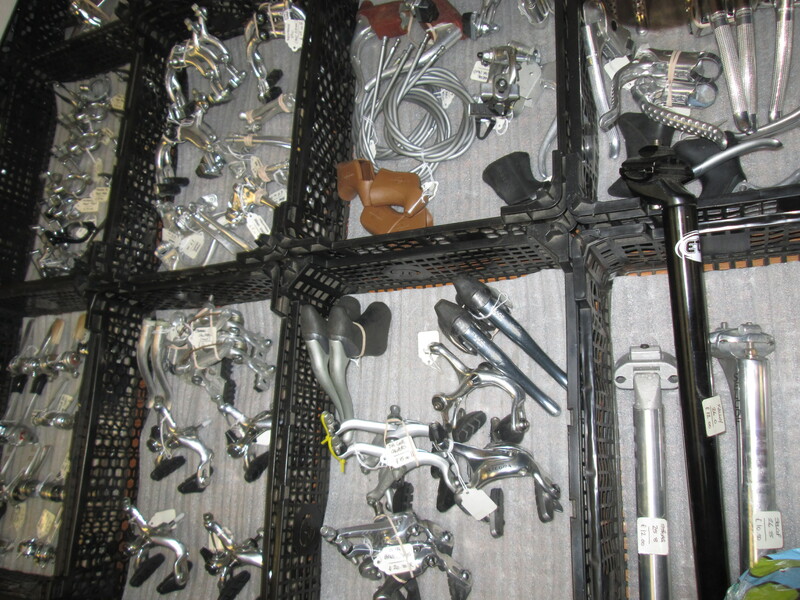 Some of us bought super sized pannier racks and struggled to put them in our pannier bags! I purchased a tool wallet, containing many useful tools, which will be easier to travel with. Max got large handlebars to enable him to breathe better whilst cycling. Three of us returned back together to Northampton, passing a buzzard sitting on a hedge watching a earthy field for prey. It promptly flew away as we passed by! The ride is just a straight out and return – approx 25-30 miles. There is the usual tea and cake at the A5 Rangers club house plus attempts to pick up stuff from the jumble sale etc. I will be there as per normal even if weather inclement. It’s usually a good opportunity to stock up on consumables for the year as well – and you can stay as long or as short as you like in Towcester, if you’re happy to make your own way back. See you Sunday, 9.30 a.m. (sharp! 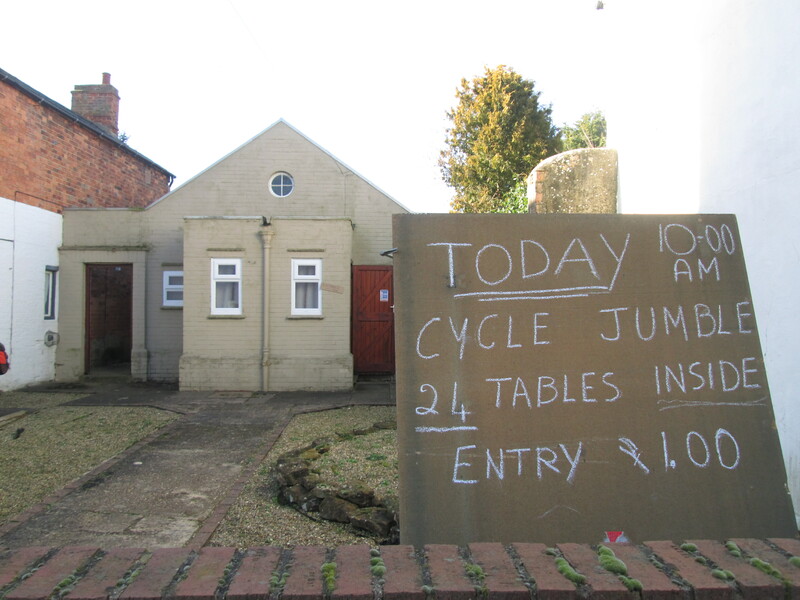 ), Overslade Close, East Hunsbury, NN4 0RZ. Brian, our Secretary, led this brisk morning ride. Words by Brian; photos by David. 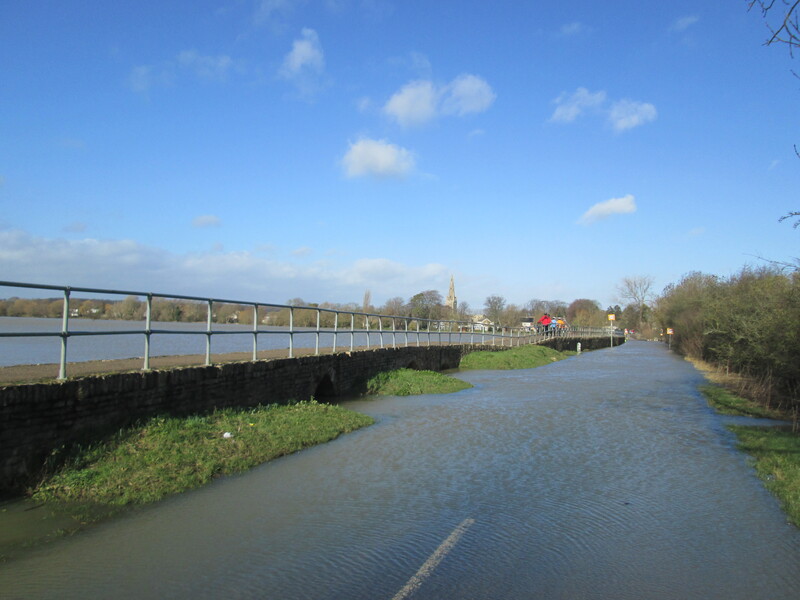 Given that it has been very wet this year, it was not surprising that the ride this Saturday morning became a tour of the floods in the Nene and Great Ouse valleys. We had 6 riders out today. We met at the Canoe Centre which was surrounded by water. However, none of the roads were flooded and we set off at 9.30 a.m. for the higher ground of Castle Ashby and then down again to Olney. We were now into the Great Ouse valley and soon alongside fields covered in water. The bridge over the river at Turvey was just above the water level. Shortly after we stopped for a pleasant coffee and cake at the Emmaus Village Bistro in Carlton. It was quite warm in the sun although the wind was very strong. Luckily the general direction of the ride was cross wind but we had met a few short stretches of strong head wind en-route.Between Carlton and Harrold we crossed the Great Ouse again, only this time the road was well under water. Fortunately there is a raised footpath about 4ft above the road for about 100 yards and we crossed it as if on a major bridge. It was quite warm in the sun although the wind was very strong. Luckily the general direction of the ride was cross wind but we had met a few short stretches of strong head wind en-route. Between Carlton and Harrold we crossed the Great Ouse again, only this time the road was well under water. Fortunately there is a raised footpath about 4ft above the road for about 100yds and we crossed it as if on a major bridge. The water around us was being whipped up into choppy waves by the strong wind. Luckily it was a tail wind and we made good time to Bozeat and then back to Billing by 1.00 p.m. where we split up to get home. Given the weather forcast earlier in the week, I was pleasantly surprised the we made the ride in the dry, with plenty of sun, if a little windy! 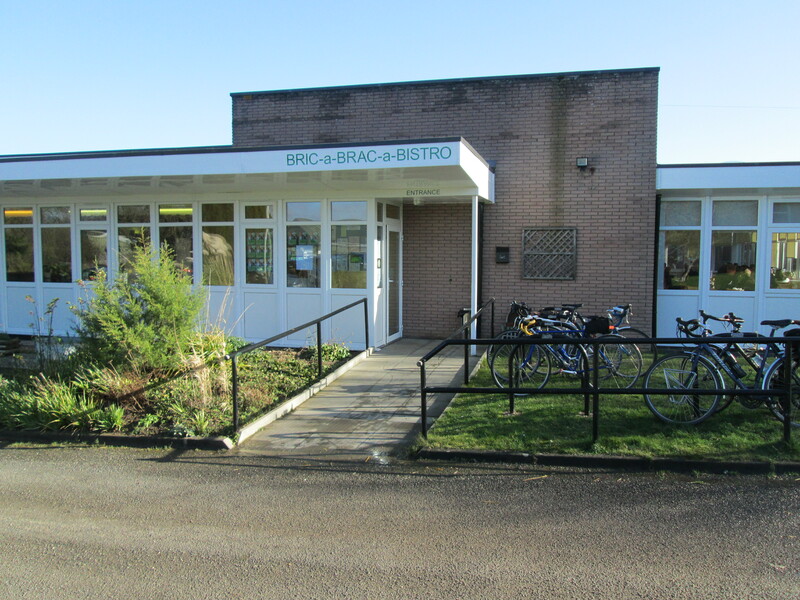 We will stop for a quick coffee at the Emmaus Village Bistro in Carlton (MK43 7LQ). The route includes two short stretches of the A428; otherwise it is on reasonably quiet B roads.